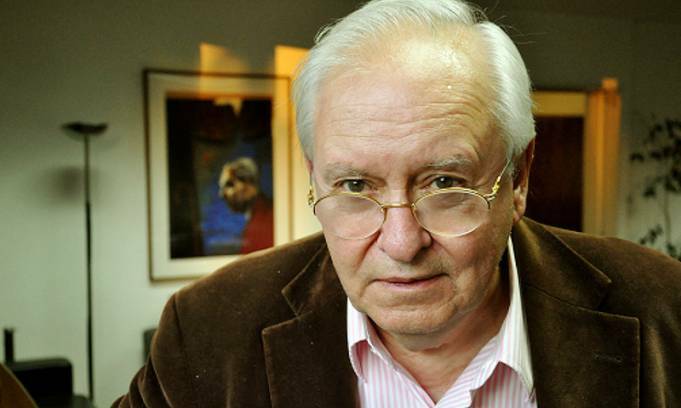 I have spent almost the entirety of my academic career reading, and responding to, Ernesto Laclau, who has died at the age of 78. Ernesto was one of the great systematic thinkers of the past fifty years, possibly the most influential Latin American theorist of the twentieth and twenty-first centuries, and one of the most significant influences on Anglo-American cultural and political theory as a whole. We all write to some extent in his shadow and in his debt, myself perhaps more than anyone. “Hegemony” was Laclau’s signature concept. He was not the first theorist of hegemony, but he made the term his own and spent decades elaborating a theoretical structure around the basic recognition of the contingency of political allegiances. This insight first came to him as an activist in 1960s and 1970s Argentina, faced with Peronism’s extraordinary capacity to mobilize people of all classes and every political inclination. Populism thus became the great problem that Laclau addressed. He showed the ways in which populism posed difficult questions for political theory, but also the practical issues it raised for any movement that sought social change. It is worth underlining that, for all the occasional abstraction of his theorizations, first and last Laclau was a militant. Beyond theorizing hegemony, Laclau added a series of new formulations to our lexicon of political theory, often taking up terms elaborated in other fields (Linguistics, Psychoanalysis, Poststructuralism) and putting them to new uses in an effort to understand the fundamental workings of politics. A mark of his originality and significance is the ways in which he gave new life to notions such as “articulation” or created concepts such as the “empty signifier.” Laclau’s strength was his combination of eclecticism and flexibility in his sources and case studies–he had provocative observations on everything from medieval mysticism to Turkish nationalism–with a steadfast consistency and focussed sense of purpose. It is no doubt partly thanks to this focus that Laclau was able to enter a lecture hall with half a dozen words scribbled on the back of an envelope for notes, and proceed to give an hour’s fluent, densely argued exposition of his thought. In some ways he was always expounding the same basic intellectual architecture, if always accommodating or responding to critiques while taking on new topics or new issues of pressing political importance. For Laclau was indeed above all else a systematizer, and the system he constructed had great power and a certain seductiveness. This was perhaps his signal virtue, and it is the reason why I regard his version of hegemony as the strongest and most developed that we have. And it is also why I took issue with it, in a critique that was always driven by respect for what Laclau had accomplished and with acknowledgement and gratitude for what he had made possible. Back in 1997, as a graduate student, I invited Laclau to Duke, along with his partner (in writing and in life), Chantal Mouffe. I was thrilled to host them for a few days in North Carolina, and very much liked them in their various ways: Mouffe, animated and spiky; Laclau, calm and generous, the very image of the perfect gentleman, thoughtfully playing with his mustache or drawing elaborate patterns with pen and paper as he listened intently to a question offered to him. Both of them were rich conversationalists, and what is more, a lot of fun to be around. Ernesto Laclau and Chantal Mouffe are among the most important thinkers of our time, who have continually redefined the fields of political and cultural theory, philosophy, and ethics. Their visit to Duke will be a major event, especially as they promise to put their theoretical insights to work in the analysis of our current situation in an uncertain world of globalization and political and cultural upheaval. Indeed, anyone concerned with analyzing social processes, cultural development, the meaning of politics and particularly the effort to enrich and deepen democracy has had to work through the contributions of Laclau and Mouffe in these areas. They have provided perhaps the most thorough and the most challenging general theories of society and culture for a whole generation of researchers and activists. Especially for those on the left, their work marked a watershed between a generation that had remained within the Marxist tradition, and the “new wave” of cultural studies, postcolonial studies, and particularly the work on “new social movements” that has been heavily influenced by Laclau and Mouffe, and that has been a means to understand developments in modern Europe, Latin America and elsewhere in this era of globalization. In short, Laclau and Mouffe are theorists of the first order, who have shaped not just one but several fields of study and research, and yet who have always remained engaged with the most practical and pressing of contemporary problems. Their influence has been marked for twenty years, but their 1983 masterpiece Hegemony and Socialist Strategy even grows in importance, given the prescience we can now see it showed concerning the challenges posed by world developments of the most recent ten years. Their work since has only deepened and extended their impact and importance. Their visit to Duke will be inspirational and productive for all those working in these areas they did so much to define. All I would add to that tribute is to note how productive Laclau (and Mouffe) continued to be over the following decade or two. Laclau’s On Populist Reason of 2005, for instance, has every right to be considered on the same level as Hegemony and Socialist Strategy. I look forward to his new book, now to appear posthumously, The Rhetorical Foundations of Society. Indeed, what is striking is not only Laclau’s consistency of purpose, but also the consistently high quality of his work. He was never one to rest on his laurels. Our paths crossed a few times after that meeting in Duke, if never with quite the same intensity. Last summer a friend told me that my name had come up in conversation with Laclau at a conference in Italy, and I thought to write to him to reiterate my respect and admiration for his work, as well as for him as a person and intellectual of such stature. I am sorry that I failed in the end to write. It is a true loss that someone who has had such profound influence on the landscape of our thought, and perhaps on mine in particular, is with us no more. I had decided I wasn’t going to reply to Adam Morton’s further intervention in this to-and-fro sparked by my blog post on Althusser’s Machiavelli and Us. Some debates are more productive than others, and I’m not sure that this one is getting anywhere in particular. Largely, his latest contribution, “The War on Errorism”, confirms this impression. For once again, Morton doesn’t engage with my reading. By which I mean (if that’s not obvious) that he merely, rather sweepingly, reiterates his own reading and asks, with an air of surprise, how could anybody see things any differently. And he gestures towards a mountain of secondary literature that supposedly confirms his view. But I do feel now compelled to respond. Because it turns out that Morton is right. I did make an error, albeit not one that he noticed. And I feel somewhat embarrassed about it. Time therefore to make a mea culpa and set the record straight. 1. The “spontaneous” consent given by the great masses of the population imposed on social life by the dominant fundamental group; this consent is “historically” caused by the prestige (and consequent confidence) which the dominant group enjoys precisely because of its position and function in the world of production. In short, in place of “moments of crisis of command and direction,” I put “moments of crisis and command.” This is a mistake. An error. I got it wrong. Once more, I apologize, and am embarrassed. Now, there is much that can be said about this short passage in Gramsci. For what it’s worth, I don’t think that my mistake alters the text substantially so as to invalidate my reading. But perhaps it is symptomatic, in the way that Gastón Gordillo suggests. As I said before, I find his critique productive and helpful. But the point is also this: we find such errors by engaging with the readings at issue, and returning to the text. By all means let us wage war on error (if not “errorism”), but we need to be still more ruthless about it. I do find it intriguing that Morton apparently both missed the fact that I was quoting Gramsci–asking “Really? Can we have some reference to Gramsci’s texts here please?”–and also missed the fact that I was unfortunately misquoting Gramsci. For all his grand gestures and lectures about reading and accuracy, for all his attempts to hunt down purported errors in what I have written, he seems to be missing a trick when it comes to a real, bona fide mistake that he would have spotted had he read my text, and Gramsci’s, with a little more care and attention. Adam Morton continues the discussion prompted by my reading of Althusser’s Machiavelli and Us. (See also his earlier post and my response.) Again, he’s less concerned to engage with my reading of Althusser per se than to give me a somewhat heavy-handed lecture on how to read in general. But I don’t find his purported distinction between “interpreting, appropriating, or negotiating a text” (outlined also here) particularly helpful. It sounds to me like one of those irregular verbs: I negotiate a text; You merely interpret it; He, she or it has the nerve to appropriate it. Except that it turns out that there’s another twist to the declension: Jon Beasley-Murray goes so far as to “importune” the text. Quelle horreur! To put this another way: I don’t claim any particular purity to my own reading of Althusser. All readings are messy. They are inevitably interested in some way or another, and mine is clearly informed by my own interests. There are no doubt elements of appropriation (if you want to use these terms) as well as interpretation and negotiation. But I do try to read Machiavelli and Us, and also the various texts discussed in Posthegemony, with care and attention, alert particularly to their tensions, slippages, and contradictions. This is because all texts “say more than they do” (to use Morton’s own symptomatically awkward phrase) and I’m interested precisely in this excess. Again, though, I find it especially productive to think of Althusser’s book with such slippages in mind, in part because this is the tack that he himself takes in approaching Machiavelli. As Althusser notes, “Machiavelli grips us. But if by chance we want to grasp him, he evades us: he is elusive” (4). In my terms: something always escapes. Which is why, in similar spirit, I make much of the revisions and changes that Machiavelli and Us underwent over time. Morton is apparently less concerned with such things; well, so be it. A rather more interesting critique of Posthegemony is that I don’t in fact spend half as much time on Gramsci as I should. Rather I focus, at length and for reasons I outline in detail, on the work of Ernesto Laclau (and Chantal Mouffe). But in his review, ”Affective Hegemonies”, my friend and colleague Gastón Gordillo upbraids me for what he calls my “masterful silencing of Gramsci.” By generally avoiding Gramsci’s work, concentrating instead on his neo-Gramscian avatars, he suggests I am ironically “perhaps paying oblique homage to the man who first thought about hegemony.” By contrast, then, Gordillo implies that it is time to “appropriate” Gramsci a little more thoroughly, to work harder at disrupting the banalities and superficial readings propagated as part of “the academic infatuation with Gramsci.” Indeed, Gordillo’s main criticism of Posthegemony (and it is a smart and attentive reading that he offers) is that it goes not nearly far enough in the task of “importuning Gramsci” for which Morton would otherwise condemn it. Adam Morton responds to my brief account of Althusser’s Machiavelli and Us with a fairly lengthy blog post on “Machiavelli, Gramsci, Althusser, and Us”. But he doesn’t so much respond to my reading itself; what he intends is a more comprehensive swipe at the notion of posthegemony as a whole. Which is fair enough, but a bit of a leap. Anyhow, on Althusser… Morton asks “whose reading” this is that detects in Althusser “a posthegemonic reading of Machiavelli,” to which I unapologetically confirm that it is indeed my reading. Whose would it be otherwise? But it’s a reading that, I hope, is attentive to some salient aspects of the text, not least its ambiguities, product in part of fairly constant revisions over a long period. Morton reiterates what I call a hegemonic reading of Machiavelli and Us, a reading that I point out myself; it is admittedly pretty obvious. My own interest is in the tensions between that aspect of the text and another that is in sync with the late Althusser’s aleatory materialism of the encounter, which I term posthegemonic. Morton’s interest is in consolidating and underlining only the first of these two readings so as to show Althusser’s resonances with Gramsci. Again, fair enough in its own way, but it’s no less an “appropriation” than my focus on the tensions within the text. Indeed, compared to conventional readings of Althusser, Morton’s take is perhaps even more idiosyncratic, as neo-Gramscian theories of hegemony were quite explicitly opposed to an Althusserianism understood in terms of over-determination, history as a process without a subject, and the like. Another way of putting this is that Machiavelli and Us is interesting and problematic precisely because it points to two possible ways out of canonical Althusserianism: both towards the concept of hegemony and radically away from it. As such, it anticipates the contemporary dilemma of cultural studies. Morton likes the first path; I acknowledge it’s there, but prefer the second. Morton then jumps to a lightly revised series of quotations from his book on post-revolutionary Mexico. There’s a certain tension here, as whereas on the blog the claim that “calls, then, to analytically displace hegemony and move towards a posthegemonic politics should be resisted” is presented as following on from the discussion of Althusser (“then”), in the book the rather similar claim that “calls for a wholesale retreat from the logic of hegemony and the move towards a posthegemonic politics should be resisted” comes merely as the start of the second of three discussions of critiques of hegemony. And the subsequent sentence, that “A posthegemonic condition [. . .] refers to the presumption that ideology critique is now superfluous in an age where affective relations or bodily dispositions are regnant” is sourced in the book to my 2003 article “On Posthegemony” (as well as to an article by Benjamin Arditi) while on the blog it’s apparently derived from my 2010 book, Posthegemony. On the blog, Morton then refers directly to his own book, but Revolution and State in Modern Mexico is hardly much more “detailed” on this point than the blog post: both contain almost exactly the same assertion that (in the book’s words) “this extremist take on hegemony theory and its attempt to decentre analysis from the strategic field of the state, however, merely collapses into a ‘pluralism of micropowers’, conceiving ever more microcosms of meaning within a world of individuated actors (Poulantzas 1978: 44)” (10). 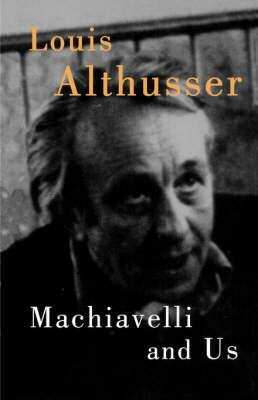 Despite the invocation of his student Poulantzas, we’re now far removed from Althusser, even though we are oddly enough still dealing with what, in discussing Machiavelli and Us, I described as “a strange, tortured text that bears all the marks of its” revisions. What’s more, then Morton shifts to quoting an article of his from 2007 that is a critique of Randall Germain, and which never mentions posthegemony in the slightest. In that article, it is Germain’s notion of a “collective ‘us’” that prompts the comment: “I am troubled in IPE by something Raymond Williams (1980, p. 3) long ago articulated: the acceptance of total contingency when attempting to assess forces in struggle over hegemony” (“Unquestioned Answers / Unanswered Questions” 135). I’m not entirely sure how what we can only call Morton’s “appropriation” of his own critique of Germain relates to my blog post, my book, or posthegemony in general–though I would note that questions about determination are indeed properly Althusserian, if not (of course) the concern of Machiavelli and Us. In Althusser’s interpretation of Machiavelli, there is no “struggle over hegemony” at all, in that he observes that The Prince and the Discourses alike are books about beginnings: they are about the leap, always under-determined if never entirely contingent, that establishes a new political regime. It is its under-determination, its element of contingency, that opens up a space for politics–and for Althusser, Machiavelli’s work is fully political, fully inscribed in a political space that cannot be determined in advance. Whether or not you feel that what is to be instituted is a form of hegemonic politics (Morton will probably say it is; I stress rather Althusser’s ambivalence and increasing hesitance), there’s no doubt that the leap itself has nothing to do with hegemony. As with all the many ruptures that mark Althusser’s thought (from the famous “epistemological break” he claims to detect in Marx’s work, to the “lightning flash” in his discussion of the “Piccolo Teatro”), the real political moment is this posthegemonic fracture that his texts themselves re-enact. Perhaps Morton’s blog post, too, is trying for a similar leap? Louis Althusser’s Machiavelli and Us is a strange, tortured text that bears all the marks of its long germination. It originates in a lecture course given in 1962, which was cut short by Althusser’s nervous breakdown and hospitalization. The notes for that course were apparently lost, and rewritten from scratch, we are told, “very probably after 1968” (vii). These led to a new course, given in 1972, but Althusser continued to work on the manuscript “on and off up to the mid 1980s” (vii), although he never published it in his lifetime. It finally saw the light of day in 1995, five years after his death. Hence the version we have (in the translation by Gregory Elliott) has numerous footnotes indicating some of the major handwritten revisions, correction, and addenda, often of very uncertain date. One can only suspect that there is a reason for this difficult history, and perhaps also a reason why Althusser kept on returning to Machiavelli, seemingly obsessed but at the same time dissatisfied with his analysis. As he himself notes, “Machiavelli grips us. But if by chance we want to grasp him, he evades us: he is elusive” (4). On the one hand, the book does its darnedest to present Machiavelli as a theorist of hegemony. 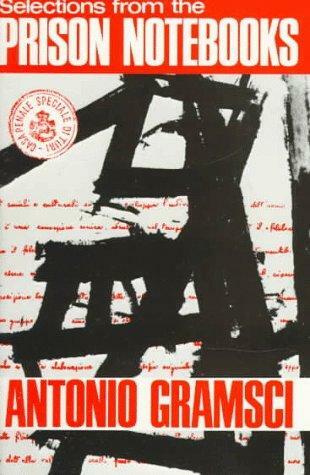 No wonder, in that Althusser takes much of his inspiration from Antonio Gramsci’s reading of The Prince. Machiavelli, Gramsci and Althusser argue, is not so much a thinker of the principality, of the many principalities that dotted the Italian peninsula: he is a theorist of the nation state. More particularly, Althusser grants “Gramsci’s master theme,” that Machiavelli is a theorist of “the political question of Italian unity–that is to say, the political problem of the Italian nation’s constitution by means of a national state” (11). So the prince’s task is to found a state that will both expand and endure: it has to expand until it is coterminous with the limits of the Italian nation; and it can only endure so long as it wins the “friendship” of the people, siding with them against the nobility to overturn the legacy of feudalism. The successful prince, Althusser argues, employs both coercion and consent to fashion a people who fear but do not hate him. Hence the role of ideology, both “a basic ideology” and particular ideologies; it is religion that takes on the role of basic ideology, “a general, constant ideology,” while particular ideologies relate to the specific attributes of the prince himself, expressed “in the form of the representation of the Prince in popular opinion” (92). Althusser therefore concludes that “to appreciate this policy of ‘fear without hatred’ properly, it must be called by its name: it is an ideological politics, politics in ideology” (101). On the other hand, many of Althusser’s revisions reveal another side to the book. Here, instead of the telos of the nation state, the historical destiny of Italian unification, what is stressed is rather the conjuncture defined by its “aleatory” singularity and unpredictability: “Machiavelli is the first theorist of the conjuncture or the first thinker [. . .] to think in the conjuncture: that is to say in its concept of an aleatory, singular case” (18; the phrase “aleatory, singular case” is a late addition); “There comes a moment when Machiavelli can no longer ‘gamble on’ classical theory, or play it off against another, to open up his own space: he must leap into the void” (42; “into the void” is a late addition). Systematically, Althusser shifts the emphasis of what he had previously written such that what begins to emerge is what he elsewhere terms “a materialism of the encounter, hence of the aleatory and of contingency” (qtd. xiii). Here what counts are not so much the means by which the prince binds the people to himself by “establish[ing] Italian unity from the standpoint of the ’populare’ [. . .] gaining the people’s friendship–that is, to speak plainly, an alliance with the people against the nobility” (129). Rather, what’s at stake are “the forms of the encounter between fortuna and virtù” and the undecidability of the tension between concrete actuality and an aleatory future, “the discrepancy between the definite and indefinite, the necessary and the unforeseeable” (80). From this perspective we might turn from thinking about ideology in terms of representation to a consideration of how the army, for instance, acts more like what we might call (drawing on Althusser’s famous “Ideological State Apparatuses” essay) “ideology in general” by interpellating and constituting subjects through habit and affect. Rather than taking the “people” (and its hostility to the nobility) for granted, we would then turn instead to the prior process of “the becoming-people of the people” (102). In short, there is a posthegemonic reading of Machiavelli that is constantly escaping and perhaps threatening to overwhelm Althusser’s otherwise Gramscian insistence on hegemony. There is, we might even add, an ontological dimension that undermines Althusser’s contention that Machiavelli’s singularity is his insistence on “the primacy of politics tout court” (99). Or rather, there is a “primitive political accumulation” (125) that precedes the establishment of any space or institutions onto which hegemony can be projected as though it were politics, and as though politics were hegemony. As with most of his books on the History of Philosophy, Gilles Deleuze’s Nietzsche and Philosophy is in large part a work of ventriloquy. Deleuze is speaking through Nietzsche, or making Nietzsche speak for him, as part of a series of debates and concerns that are perhaps more properly “Deleuzian” than they are “Nietzschean.” This is no doubt clearest in the book’s excoriation of Hegelianism and the dialectic: “There is no possible compromise between Hegel and Nietzsche,” Deleuze tells us (195). 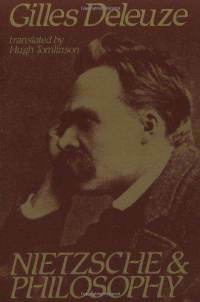 Written in 1962, Nietzsche and Philosophy is then part of a broadside within French thought against the prevailing postwar interest in Hegel (very much as mediated by Alexandre Kojève). A few years later, Louis Althusser would also join in the fray, with his attempt to construct a Marxism in which all indebtedness to Hegel had been absolutely excised. At every turn, Nietzsche chooses activity, life, the will, over against the forces of reaction and ressentiment. The only negativity in his work, Deleuze says, is in fact positive: it is always in the service of creation; it is a total critique that enables the new to manifest itself. Hence “destruction as the active destruction of all known values is the trail of the creator” (177); in Nietzsche, “the whole of the negative has become a power of affirming” (179). Deleuze’s book, as though intoxicated by Nietzschean affirmation, ends with rather a flourish, heralding the powers of Zarathustra, Dionysus, and the Over-man. We a presented a vision, that can’t help but seem a little mystical, of the triumph of dance, “laughter, roars of laughter,” and a sense of “play [that] affirms chance and the necessity of chance” (194). All well and good. But the fact is that, if we look around, all we see is the supremacy of reaction, the ubiquity of ressentiment, and the ascendancy of nihilism. How can this be? Is it conceivable that reactive forces are in fact stronger than active ones? If not, what explains their triumph? How does action, activity, affirmation, and the will to power give way to the tyranny of the negative? In short: if activity and affirmation are primary, how are they so easily overcome? What goes wrong? Are reactive forces of the same nature as active forces? Do active forces somehow become reactive? If so, how? How does joyous creation end up so badly? Deleuze’s argument is complex. It all begins when the strangely positive power of forgetting is itself forgotten. Forgetting is “an active and in the strictest sense positive faculty of repression” (113). After all, the first distinction between the noble soul and the slave is that the noble soon forgets any slights; the slave, by contrast, broods and breeds resentment. Ressentiment is only possible once the traces of past ills are preserved, even harboured and nurtured. When this happens, “reaction itself takes the place of action, reaction prevails over action” (114). But what Deleuze wants to stress–indeed, it is vital that he does so–is that “reactive forces do not triumph by forming a force greater than active forces. [. . .] Everything takes place between reactive forces” (114). Then, in a second stage, active force is itself disarmed by being “separated from what it can do; or rather, we find this fiction is propagated. Here we see also the birth of the subject, a fictional entity separated from its own powers of action and activity. But what is most important is that in the forgetting of forgetting and in the construction of the fiction of the subject alike, “in neither of the two cases do reactive forces triumph by forming a greater force than active forces” (124). Deleuze has again to push further: How for instance does fiction gain a hold over the reality of force? Indeed, this question will soon be redoubled as the ascetic ideal itself is likewise founded on fiction, on the “projection of debt” and the internalization of guilt. 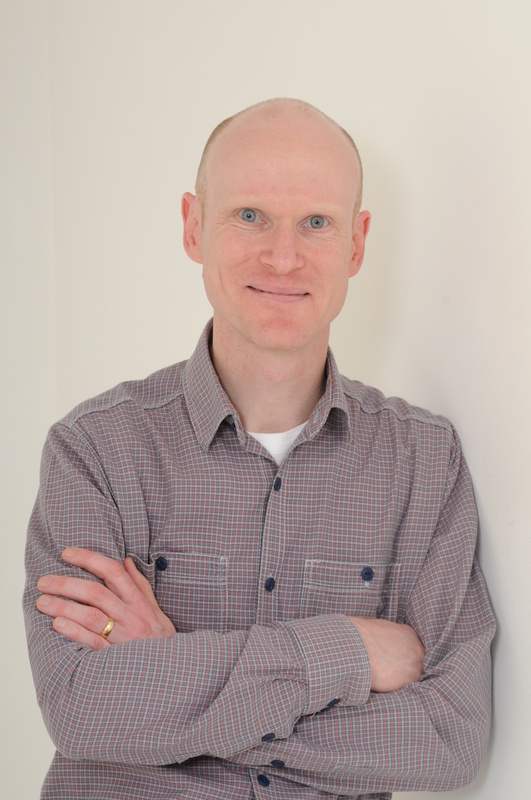 How does fiction gain the upper hand? Why would a narrative about the way things are trump our sensation and experience, our affects and bodily investment in the world. Essentially, this is the question of hegemony–or rather, of the hegemony of hegemony. Why did we come to believe in the superiority of reactive forces? Why did we take their omnipotence for granted, so much so that we became habituated into submission and subjection? And with what effect? I’m not sure that Deleuze is entirely satisfied with his answers here in Nietzsche and Philosophy. He does after all return to the problem over and over. Is this a symptom of some anxiety? Or is it simply that he feels that we need as many answers as possible: later, the figure of the fold will come to the fore in his consideration of how interiority and subjection develop. Or perhaps it’s the power of the return itself that Deleuze wants to affirm. One of my panels at LASA (the Latin American Studies Association congress) turned once more to discussion of Ernesto Laclau. I have spent a long time engaging with Laclau (and I deal with his work at length in my book’s first chapter). His is an important and influential theory–indeed, I argue that it is the most complete theory of hegemony–but it is also fundamentally flawed and fatally limited. In essence, what Laclau has done is extrapolate from the discussions among a small number of leftist radicals in Argentina during the early 1970s, when populism seemed the only possible horizon for politics. Their question then was how could they redeem populism for a progressive project, when there seemed to be no alternative available. It is impressive that Laclau has managed to produce an entire politico-theoretical system from the dilemma that these militants perceived in a particular place at a particular time. But what is extraordinary, given the subsequent adoption of this system almost wholesale by so much of cultural studies, is that if we return to the Argentine situation we see that left-populism was proved totally mistaken. For the left was violently expelled from the Peronist coalition almost as soon as Perón arrived back in the country following his long exile. Moreover, the subsequent military coup then (and even more violently) showed that populism itself had run up against its limit when it refused to acknowledge the role of the state. No doubt pretty much any political philosophy is at root largely an extrapolation from a particular state of affairs. Antonio Negri, for instance, is in his own way also still captivated by his observation of the rapid changes in Italy during the 1950s and 1960s, and then by his part in the resulting struggles of the early 1970s. But Negri was at least to some extent right: the dismal failure of the Italian Communist Party’s so-called “historic compromise” revealed the political and theoretical poverty of the theory of hegemony upon which Eurocommunism (so lauded by Laclau) depended. Negri was of course wrong about the imminence of revolution both then and, I’d argue, now, though I still think that there is much to salvage from his work none-the-less. I suppose that followers of Laclau could similarly argue that hegemony theory can likewise be salvaged even after its failure in the context in which it was originally elaborated, and for which it should ideally work best. But they don’t seem to acknowledge that failure in the first place, in part no doubt because Laclau’s increasingly abstract systematization serves to obscure that context quite totally for most of his commentators.